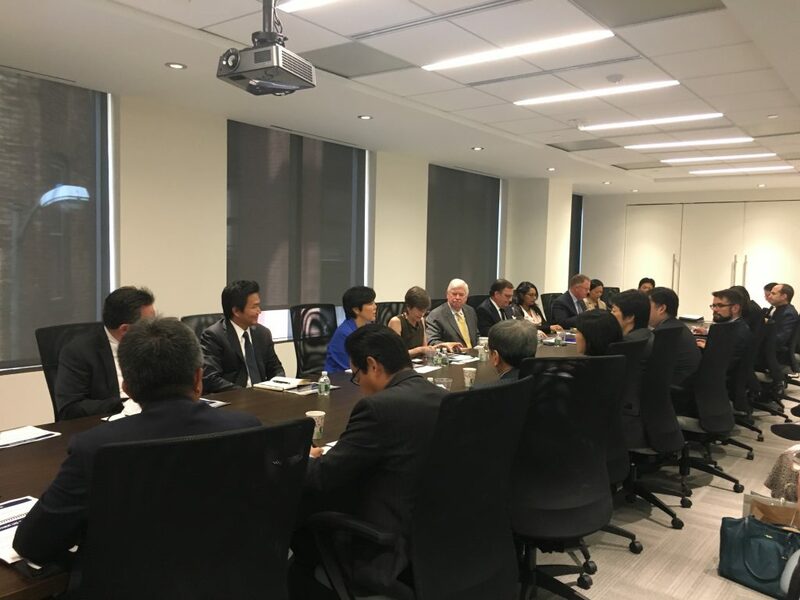 On September 26, Keidanren USA hosted Mr. Chris Dodd (former U.S. Senator), Mr. Charles Landgraf and Ms. Claire Reade from Arnold & Porter Law Firm. They led a discussion on the recent developments in U.S. trade policy and effective strategies for companies to protect their interests in the current volatile political environment.Topics include a report on Trump Administration tariff actions and related supply chain implications, a brief look at other recent US trade and investment developments, as well as a discussion of approaches to engage with U.S. policymakers, allies and constituents to protect and promote corporate interests.